For untold protection from the cold. Insulating bib tights with warm thermofleece construction. Designed to keep you at a constant temperature in wintery conditions. Durable and engineered to stand up to repeated washes. Complete with the eMAX multiple density foam layer pad for supreme comfort and protection. ANTI-SHOCK New eMAX chamois with multiple-density foam. NO COSTRAINT Maximum comfort thanks to the ergonomic construction. HIGH VISIBILITY Reflective flat stitching on the calf. Got these for a good price. I'm usually a medium, these were just a bit small. 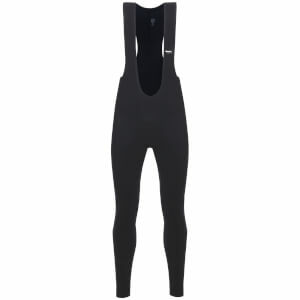 Decent for the price, not the warmest, but better than bare legs. Hope they last.